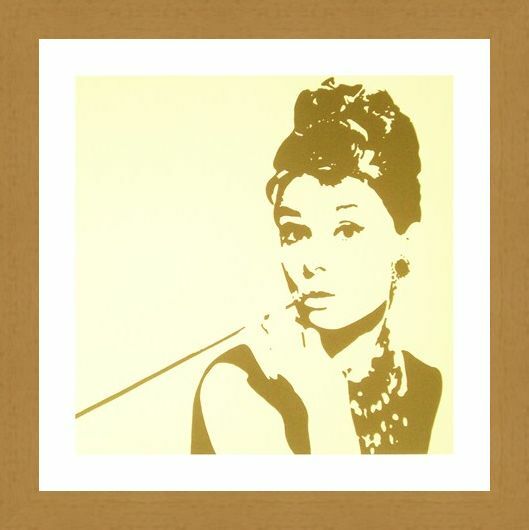 Art Print: Phil Handsley is a British artist known for his prints featuring some of Hollywood's most iconic figures including James Dean, Elvis Presley and the queen of the silver screen, Audrey Hepburn. 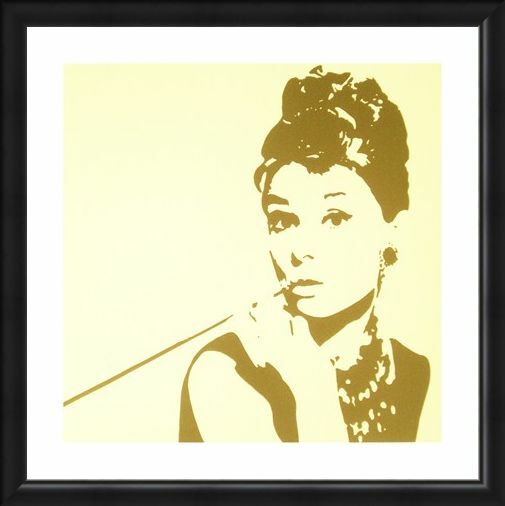 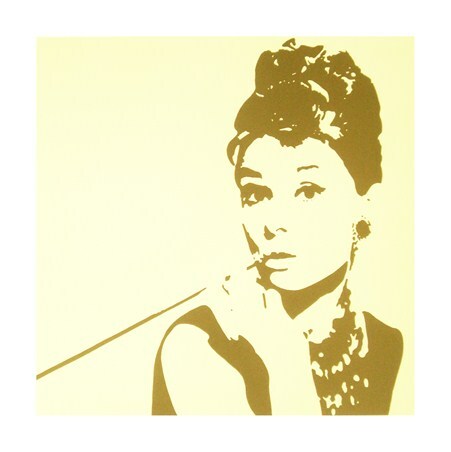 This excellent black and yellow print features Hepburn in her role as Holly Golightly in Breakfast at Tiffany’s. Holding her cigarillo and wearing a black dress covered in sparkling jewels, Hepburn carries off her gold digging character with style. 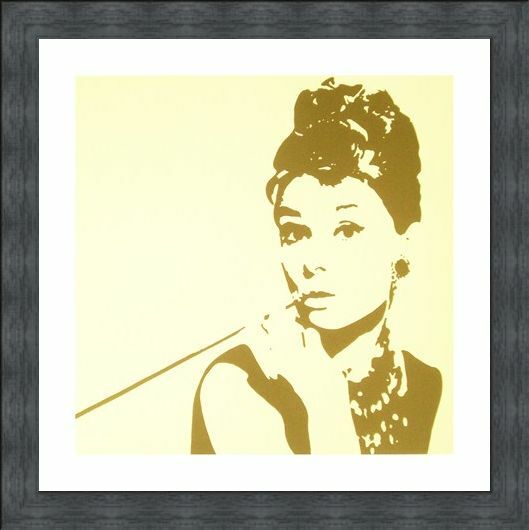 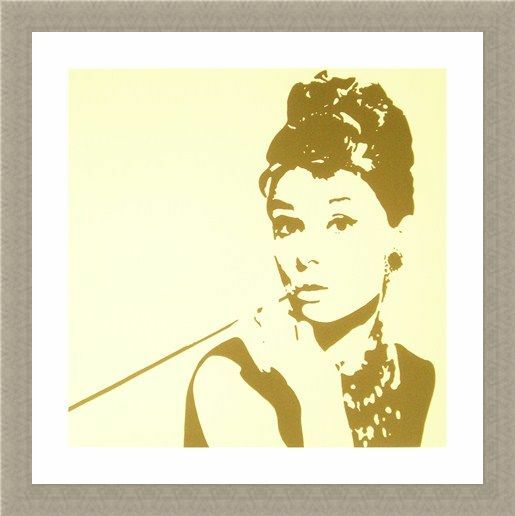 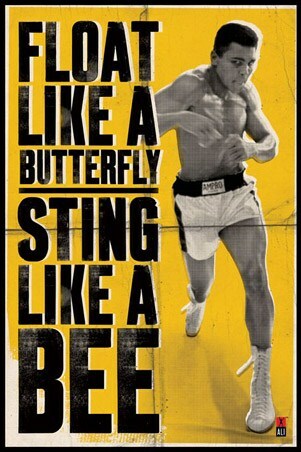 The black image on a yellow background is made to stand out so this art print will certainly make for an eye catching addition to your wall with its combination of striking art and Hollywood chic. 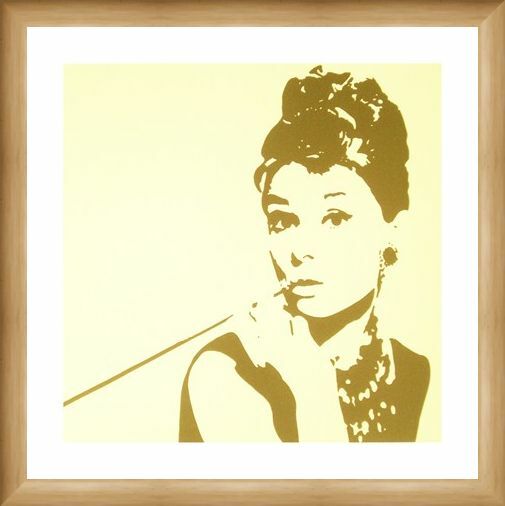 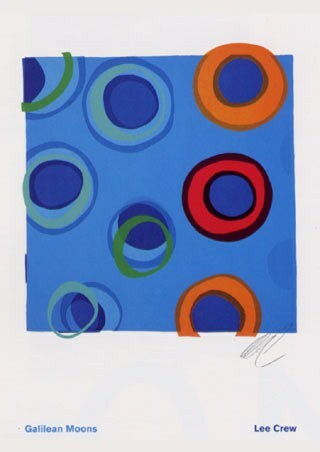 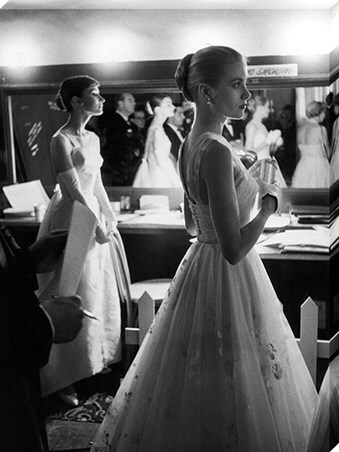 High quality, framed Audrey Hepburn, Phil Handsley print with a bespoke frame by our custom framing service.